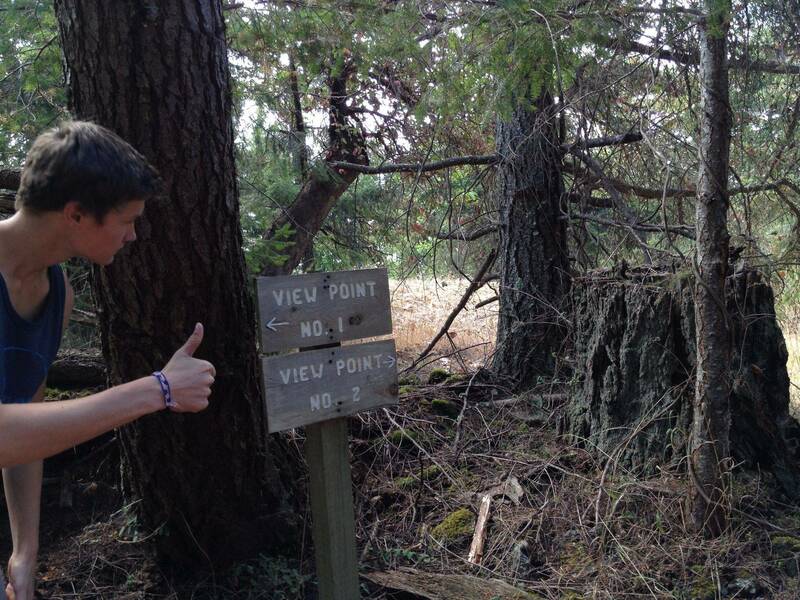 The bluffs have an outstanding view, with a great place to sit and read, think, relax, or enjoy the view. Whales are constantly spotted traveling along the bluffs, most commonly Orcas. 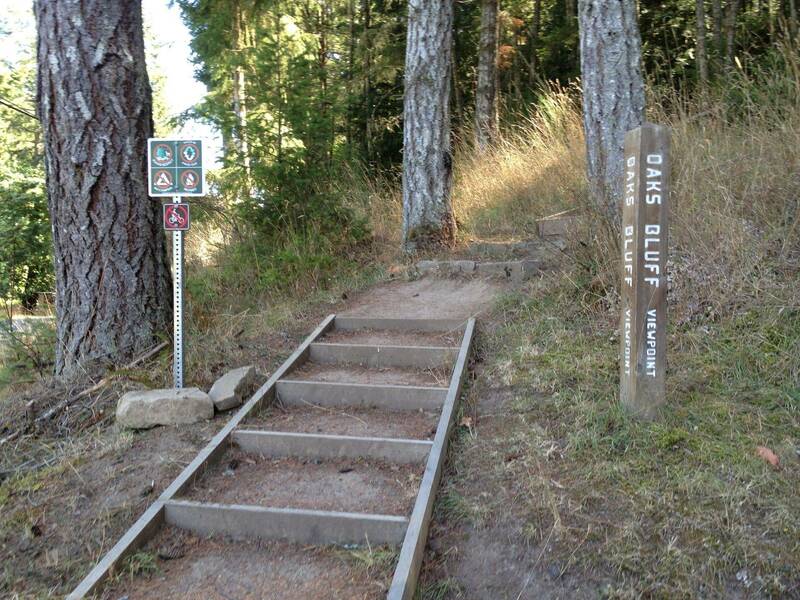 The bluffs are located along Pirates Road; the path is subtle with a discrete sign and stairs. 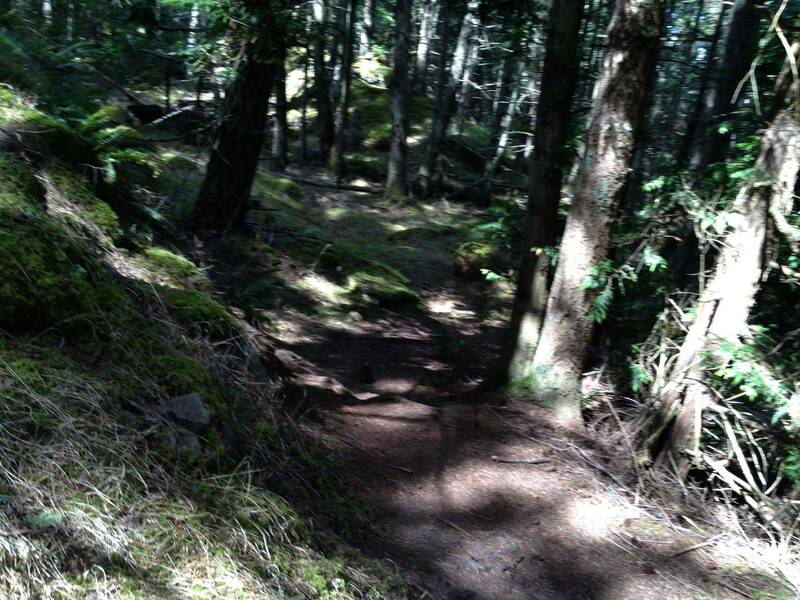 The path has a constant incline, although there are various extremely steep points, and few plateaus. The majority of the path is wide and pretty much root-less. The path is easy to follow and well traveled. At the peak there a two different trails, one to a view of Poets Cove Resort and Spa (left), and the other of the Bluffs (right). The view of Poets Cove is about a one minute walk, the view is very limited and framed with trees. The view of the bluffs is also about a one minute walk, there are various benches. 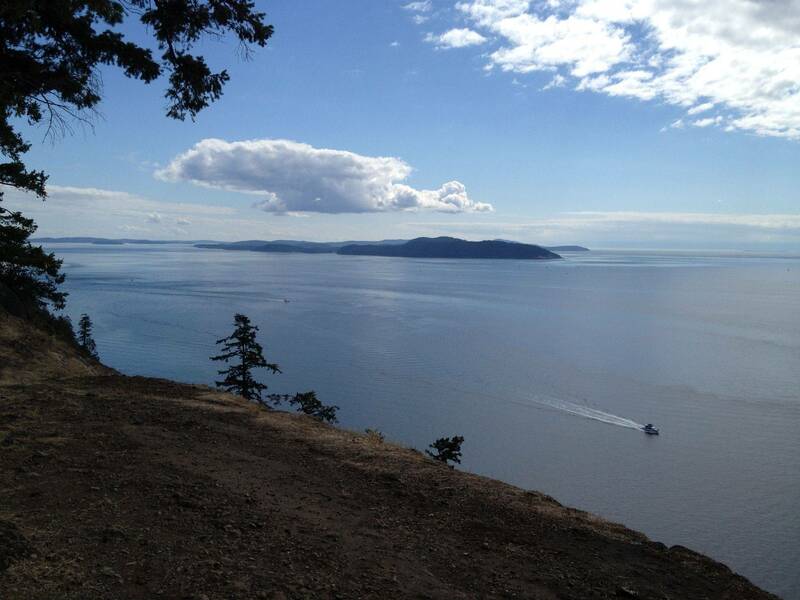 The Bluffs view is extremely wide and looking onto Moresby Island, Portland Island, and a bit of Victoria. The path is fun and a good workout to run. The path does not have many obstacles. 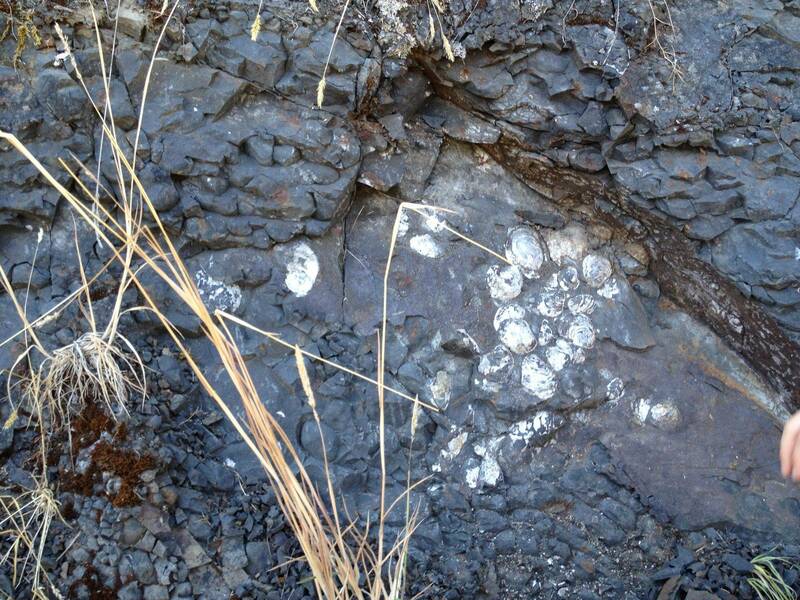 Along Plumper Way there are fossils visible on the side of the road. 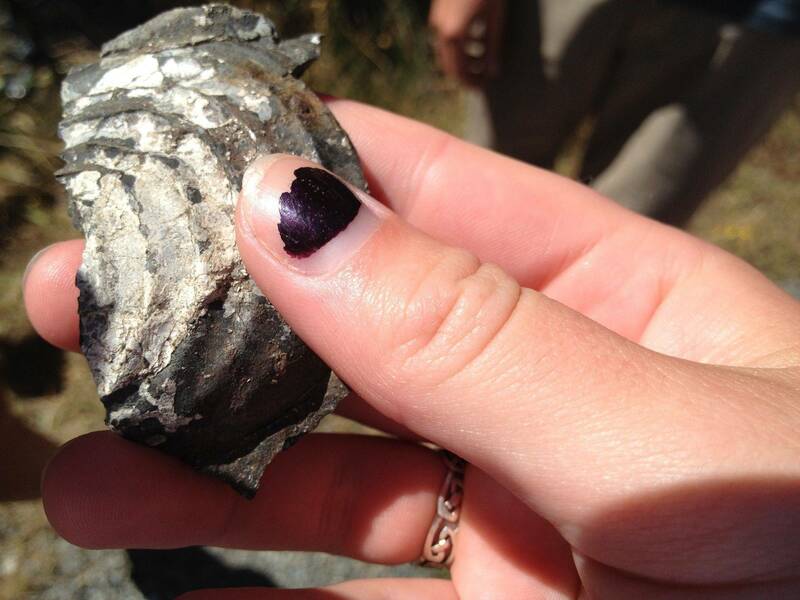 The fossils are located in the rocks. They have been studied at the University of Victoria. I suggest looking at them if it is on your way. Bring a friend to share the view with!